SKU: BU14001. Category: Religion. Tag: Religious Hostility. 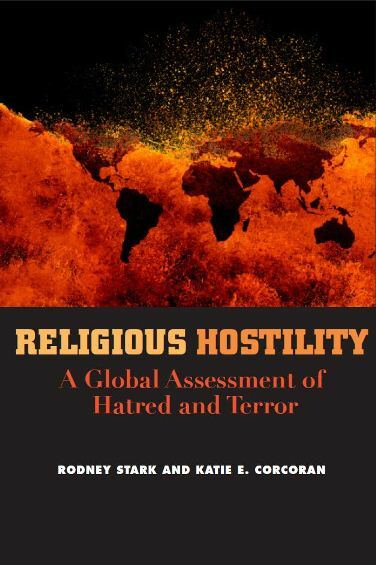 Stark and Corcoran have assembled remarkable facts and figures with which to assess religious hatred and terrorism around the world. Not content merely to document the extent of religious hatred and terrorism, they also to explain why it occurs and whether it can be overcome. Far too many governments are actively complicit in religious repression and terrorism, while too many others fail to act. Meanwhile, religious hatred flourishes: anti-Semitism, anti-Christianism, anti-Muslimism, as well as anti-Atheism. Rodney Stark received his Ph.D. from the University of California, Berkeley and became Professor of Sociology and of Comparative Religion at the University of Washington. He currently serves as Co-Director of the Institute for Studies of Religion. He has published 32 books including The Rise of Christianity, The Victory of Reason, and more than 160 scholarly articles. Katie Corcoran is a Baylor University ISR Post-Doctoral Fellow joining ISR after receiving her Ph.D. in Sociology from the University of Washington in 2012. Corcoran is a theoretical generalist who studies social groups and networks as links between macro-structures and micro-attitudes and behaviors. In an ongoing collaboration, including a book under contract with Oxford University Press, Corcoran explores the importance of emotionally charged rituals and charismatic leaders for explaining the success and vitality of American mega-churches.